Location: Crystal Gateway Marriott in Washington D.C. 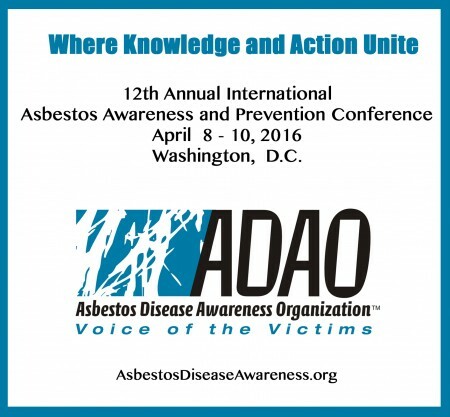 The Asbestos Disease Awareness Organization (ADAO) is proud to announce our 12th Annual International Asbestos Awareness and Prevention Conference at the Crystal Gateway Marriott in Washington D.C. Since 2005, ADAO’s annual conference has brought together more than 300 speakers ranging from experts, victims, unions to lawmakers from 14 different countries to speak about and our joint efforts in education, advocacy and awareness. Crystal Gateway Marriott, 1700 Jefferson Davis Highway, Arlington, VA 22202. Note: We have a limited number of highly discounted rooms at the conference hotel, which is the Crystal Gateway Marriott in Arlington, VA. In order to receive the reduced ADAO group room rate of $169.00 plus tax, reservations must be made by either, online or by calling 1-877-212-5752. Other methods or Marriott numbers will not guarantee the group rate! Dr. Phillip Landrigan, The Dr. Irving Selikoff Lifetime Achievement Award in honor of his tireless dedication to increasing awareness about asbestos to eliminate diseases. Dr. Christine Oliver, The Dr. Irving Selikoff Lifetime Achievement Award in honor of her tireless dedication to increasing awareness about asbestos to eliminate diseases.  Asbestos Safety and Eradication Agency, The Tribute of Unity Award for their relentless efforts, both nationally and internationally, to protect public health, ban asbestos, and increase public awareness about the danger of asbestos. The Collegium Ramazzini, The Tribute of Hope Award for their steadfast commitment to their steadfast commitment to awareness, prevention, and policy to eliminate asbestos-related diseases. Earl Dotter, The Tribute of Inspiration Award for his unwavering commitment through photojournalism to protect workers’ health and safety and to give past and present asbestos victims a voice. Clarence Borel, will be honored posthumously, with the Warren Zevon “Keep me in Your Heart” Tribute Award for being a leader in establishing corporate responsibility for those who sell asbestos products and protecting the rights of workers by compensating those who were harmed. The Amento Family, will be recognized with the Alan Reinstein Award for their commitment to education, advocacy, and support to countless patients and families. Christine Winter, will be recognized with the Alan Reinstein Award for her commitment to education, advocacy, and support to countless patients and families. We invite you to join us in April as we stand together “Where Knowledge and Action Unite” at our 12th Annual Asbestos Awareness and Prevention Conference. Be sure to register and I look forward to personally welcoming you to our conference in April.